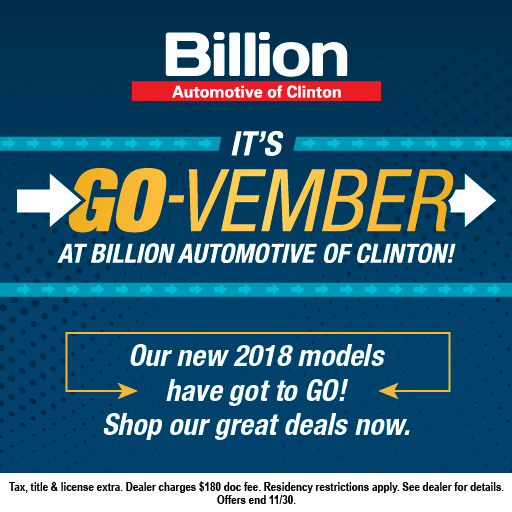 It's GO-VEMBER at Billion Automotive in Clinton, IA! The 2018 models have got to GO! Shop our great deals on new 2018s now. Visit our dealership by finding our hours and directions here. Offers and event ends 11/30/2018. Don't wait - get a great deal now!